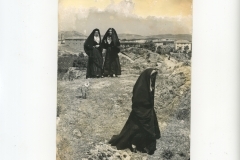 From the beginning of the 1930’s existed a group of young women who wore the black costume of Tempio for various events. 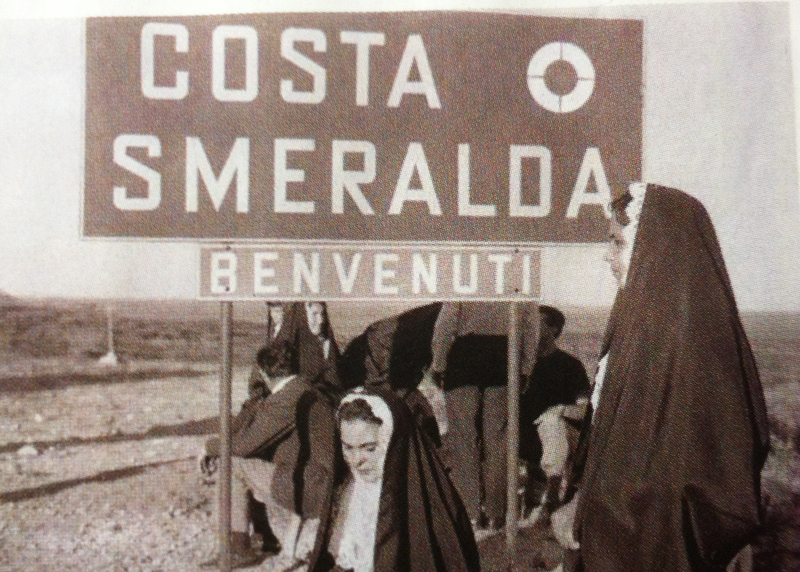 In 1934, the newspaper“La Domenica del Corriere” , published the photo of a group of young people from Tempio wearing the traditional costume on the way to Sassari to S.E. 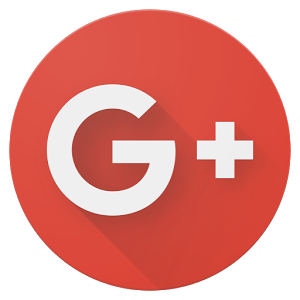 Starace. 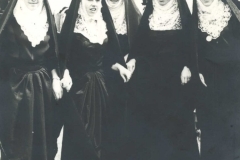 In the early 50’s, Giuseppe Nurra gave life to a group of young girls that, with the black traditional costume of Tempio, went to Sassari to participate in the “Cavalcata Sarda”, and to Nuoro to celebrate the feast of Redentore and the Feast of S.Efisio in Cagliari. 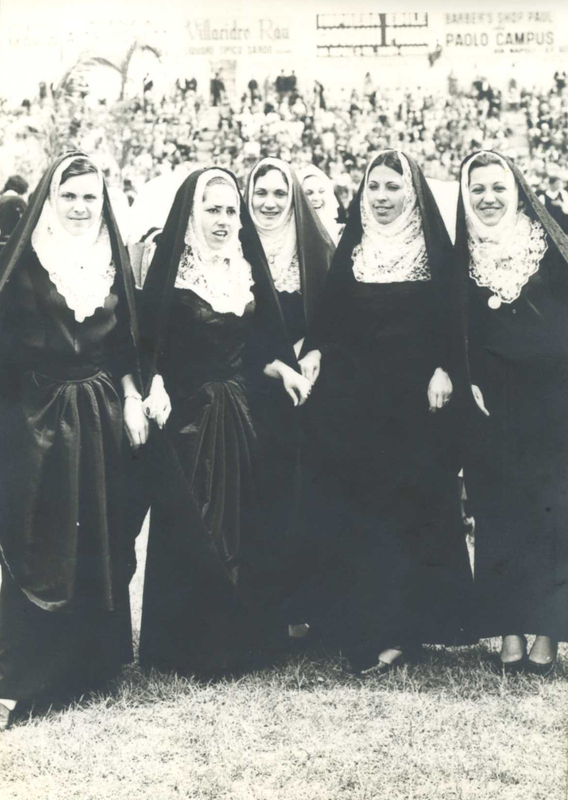 Some of those girls, including Isa Bionda, who held the position of President to 1994, founded in 1966, The Folk Group “Città di Tempio”, at the beginning made up of just girls. 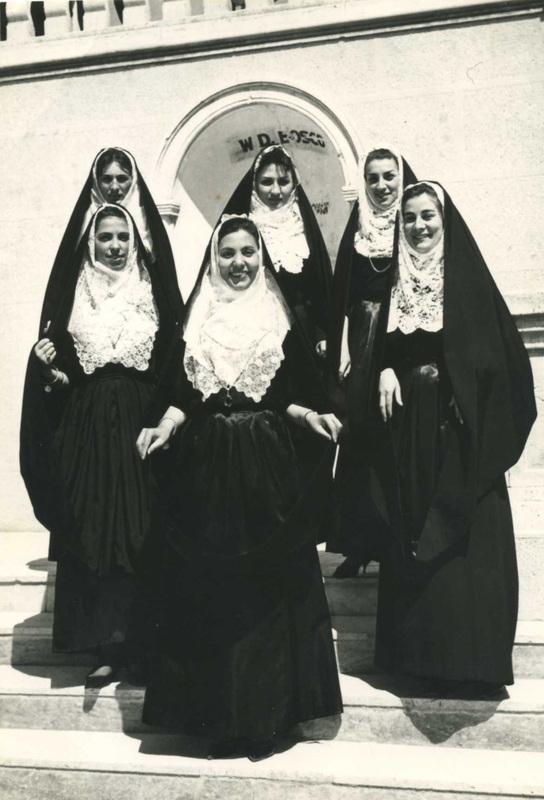 The official debut of the dance group, took place at the “Teatro del Carmine”, in 1969. From that moment, more and more girls wanted to take part into the group which received numerous invitations of exhibitions from Costa Smeralda. 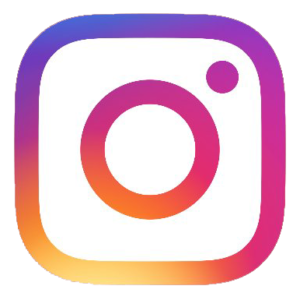 The Group was also invited to participate in a festival in the city of L’Aquila in Abruzzo, where he obtained an incredible success. 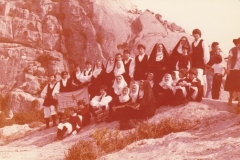 Soon the group was integrated with men and it was proposed as objective to hand down the popular culture of Tempio and the Gallura, to divulge sings, music and dances through public representations in Sardinia, in Italy and in the foreign countries. 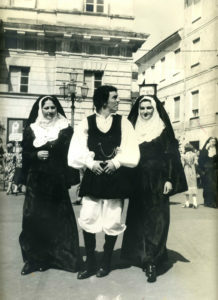 In 1971, the group created the “School of Folklore” directed by Stefania Solinas. 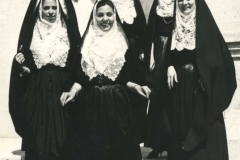 In the early 1980s, the Group starts to use also the Red traditional costume, described especially by the painter “Verani” and the prints of Luzzietti Collection. 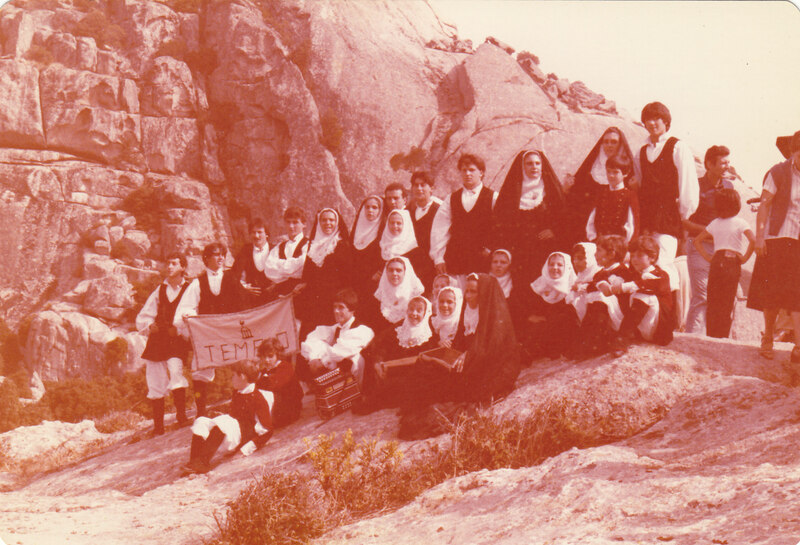 In 1981 the Group organized the 1° International Meeting of the Folklore of Tempio Pausania. 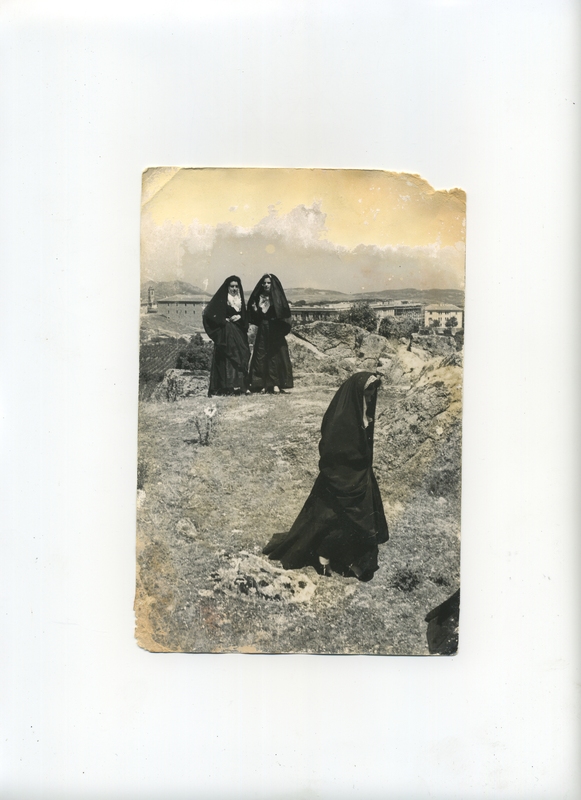 This event compares, customs and traditions of Sardinia with those of the whole world. 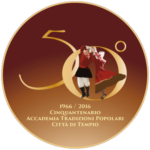 In 1986 the Group Folk “Città di Tempio” changes his own denomination: “Academy of Popular Traditions Group Città di Tempio”, maintaining, however, the same characteristics. 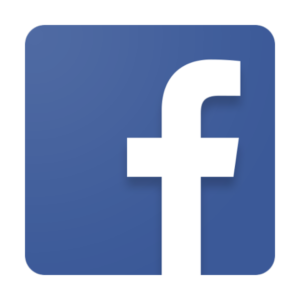 In 1987 the Group has been among “the Partners Founders” of the Italian section of the C.I.O.F.F (Conseil International des Organisations de festival de Follore et d’Arts Traditionnels), entity that guarantees the high quality of the Folklorist Festival in Italy and all over the World, that he is affiliate to it and from the same recognized. In 1994 Isa Bionda left the presidency for health problems and Lorenzo Addis replaced her holding the position of President until 2011, and then replaced by his brother Gabriel who is still the President of the Academy.